Following the heroes of Roxor I decided to paint up my first SDE miniboss. The Herald of Vulcanis was sold alongside Roxor as a separate mini. He reminds me a lot of the spartan warrior Kratos from God of War. 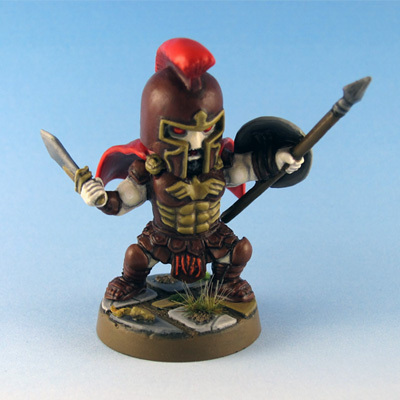 In addition to the Herald this update includes some updated pictures of older SDE minis. I’m in the process of taking pictures with my new camera and light setup to replace older pics. The SDE Sorceress and Rogue were updated so far. 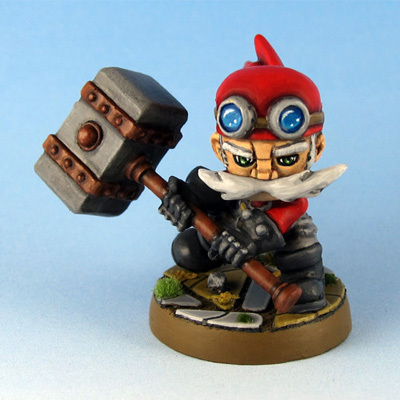 To round up the heros from Caverns of Roxor I present the Star Guild Sapper. This litte guy is by far my favorite Roxor hero. Sodapop managed to create a cool tribute mini to Mario, a classic character I always thought of as rather lame.